Shopping | just another digital diary. Denim + knee-high boots + scarf. Everything about this screams fall fashion at its finest. Proving that accessories are everything. 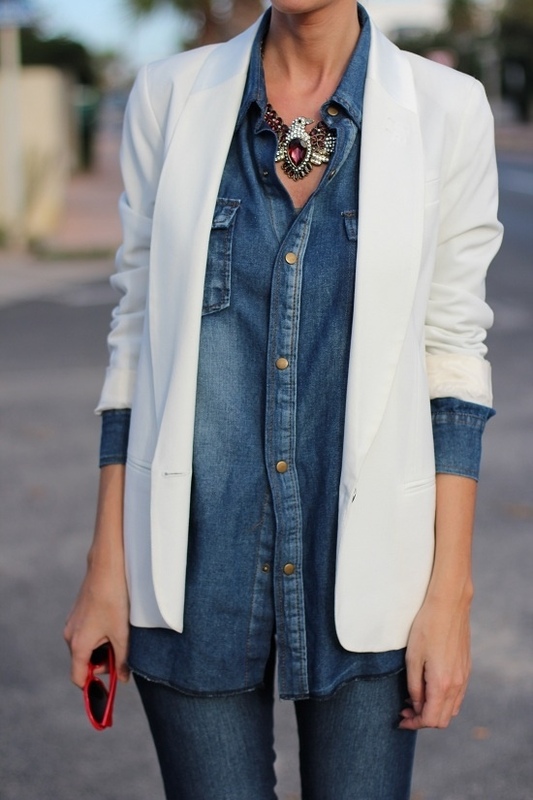 The blazer and statement necklace make this look! Acid wash, distressed denim and layer layers layers! Who would have ever thought a turtleneck and a denim shirt could look so glam? Could anyone rock bi-color denim on denim like OP? And don’t even get me started on the shoes. Denim, leather, and studs—a badass summer ensemble. Loving the pops of color with this dress. The clutch and yellow heels are so adorable. What’s your favourite way to rock chambray?